Complete filing kit to simplify the work of keeping your chain in top condition. A correctly sharpened chain will make your work easier and safer. 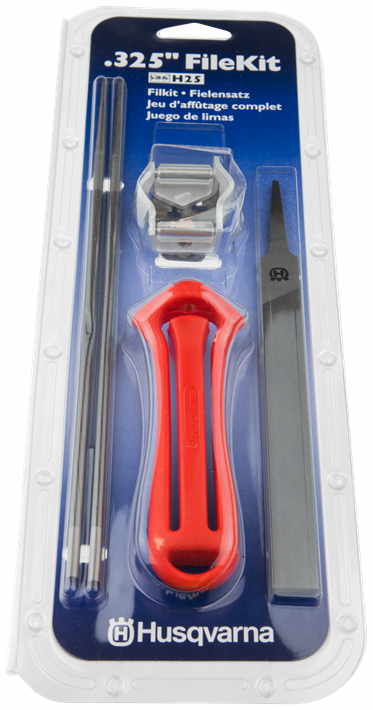 The file kit contains a file handle, combination gauge or a file and depth gauge, two round files and one flat file.